Griff's Den - Page 2 of 7 - A Place For My Stuff. TPW MODS has just been updated. 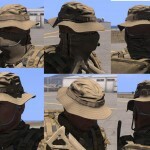 This is a bundle of mods that adds such things as ambient life and sounds, AI reactions to suppressive fire, civilians walking around the towns, and other enhancements to the Arma 3 world. It is configurable in that you can enable or disable the particular features you want using the included config file. 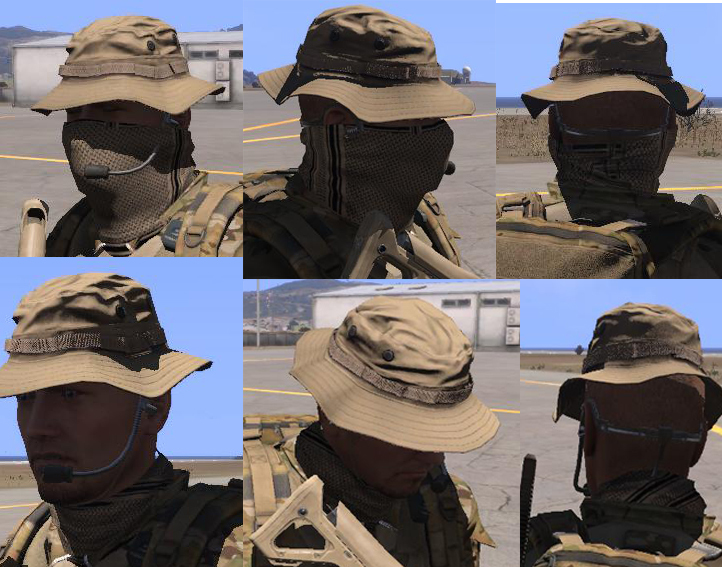 In the months since Arma 3 alpha was released I’ve written a number of mods which do different things, but all of which have a common goal of increasing the immersion and realism of the single player experience in Arma 3. As the number of mods and their complexity has increased, I’ve found it increasingly difficult to keep track of feedback on multiple threads and maintain them all separately, so I’ve taken the decision to bundle them all into one addon, imaginatively titled TPW MODS. Units reacting realistically to suppressive fire by ducking and seeking cover (TPW EBS). Units reacting to falls and bullet hits by falling to the ground (TPW FALL). Units continuing to bleed from injuries, resulting in decreased mobility and eventually incapacitation and death if not treated (TPW BLEEDOUT). Units with foggy breath during colder periods (TPW FOG). Units rapidly reacting to nearby enemies they have line of sight to (TPW LOS). Civilians in towns, walking around and interacting with each other (TPW CIVS). Civilian traffic, which you may commandeer (TPW CARS). Lights in civilian houses at night (TPW HOUSELIGHTS). Appropriate sized flocks of sheep/goats/chickens, and randomly barking dogs / yowling cats (TPW ANIMALS). Occasional helicopter and jet flybys (TPW AIR). Ambient radio chatter in/near vehicles (TPW RADIO). Rain droplet effects on the ground near the player (TPW RAINFX). Ambient civilians/animals/cars easily excluded from areas such as runways or bases, using simple editor-placed named objects. Civs/animals/cars/parked cars/radio/houselights may be excluded from entire areas of the map using triggers. In addition to the addon, the mods are provided as scripts which can be run on a per mission basis. If a script version detects that an addon version is running, it will exit. All mods interoperate well, and share a common startup hint. All mods are light on resources and should not cause slowdowns or framerate issues. [RAIN FX 1.04] Water droplets on vehicle windows during rain. [FOG 1.07] Total overhaul: automatically selects region appropriate climate data; improved foggy breath calculation; ground fog; snow (huge thanks to NeoArmageddon and Meatball for snow particle parameters). [AIR 1.19] Additional randomisation of aircraft speed and height (for Lordprimate ]. [BLEEDOUT 1.07] Units can be prevented from bleeding to death using setvariable [“tpw_bleedout_nodeath”,1] in the unit’s init or via script. [BOATS 1.22, CARS 1.30, CIVS 1.31] CAF Aggressors Middle East civs spawned on Sangin. [BOATS 1.21, CARS 1.29, CIVS 1.30] Middle East and African civilians automatically spawned on appropriate maps. Requires Ohally’s CAF Aggressors mod. Thanks very much to the excellent work of Ohally, there are now region specific civilians if you are running CAF Aggressors. The system will automatically assign the correct civ type depending on the map you run – based on the maps I have been able to get running using @A3MP. [ANIMALS 1.31, CIVS 1.18, PARK 1.06, RADIO 1.11] Fallujah compatibility. [CARS 1.28] Additional code for spawn delay based on proximity to towns (Thanks Rydygier). 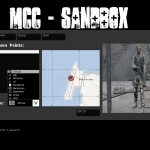 Shay_gman released a new version of his indispensable dynamic mission-making tool for Arma 3, MCC. This is a substantial overhaul, and now includes the new eagerly-anticipated GAIA AI system. As mentioned above, it’s a Beta. We realize the product is not perfect, but with your help we will make it perfect. So don’t be shy! 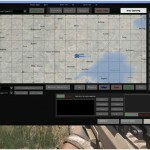 • Complete new GUI that gives full control to the mission maker from a map perspective. • Open 3D Editor by ALT-mouse click. • Units controlled by GAIA (new AI) show up with a G in their name on the map. • Send any non GAIA controlled group to GAIA by just clicking ‘GIVE TO GAIA’. The group will now be controlled by GAIA in the given zone (left of button) and behavior (left of button). • Multiple group select and manual waypoints. (manual waypoints cancel GAIA). • Spice up your existing missions with fully AI controlled mortar, artillery, CAS and air patrols. • Notice aggressive attacks from AI that prevent you from lazy ‘Duck shooting’ sessions. • See what the AI does (GAIA) as it generates waypoints, that you can update and cancel whenever you like. • GAIA get’s her target information from any unit on the map, including not under GAIA control. (so even players on the same side of GAIA). • GAIA can play against GAIA. Each side can be run completely seperate. GAIA stands for Greater Artificial Intelligence. Ever since I typed my first 2 lines of MCC code it has been going through my mind. What if the AI did…? Why isn’t this….? …..These and a zillion other questions have haunted me for too long. GAIA is my answer to most of these questions. So, now you know my personal motivation, let’s move on to the system itself. This document tries to focus on the intent of GAIA and the design decisions that have been made. I won’t try to explain how all of the code works, but after reading this document you should have a clear understanding of what GAIA stands for, what choices she makes and how she operates. • All assets are used intelligently. Know your units, what can they do, what are their weaknesses. • Responses to threat are in proportion. Do not send more troops then needed, but also make sure it is enough to deal with the opposing threat. • Understand the priorities. The closer a threat is to the center of the territory (zone), the higher the priority. More about GAIA in MCC and how to use it: https://dl.dropboxusercontent.com/u/…%20Release.pdf. – Added: Tooltips and indicators for Mission Settings. – Added: MCC AI’s settings will effect units spawned via 3D editor or Group Gen.
– Fixed: MCC will now read addon’s groups configs such as Aggressors. – Fixed: Removed missing weapon config error message after respawn. – Fixed: Save Gear didn’t saved assigned items. – Fixed: Removed explosion sounds from flares. – Fixed: IEDs will explode even if moved (car bomb) make sure to set the IED on radio activation so the explosion won’t relay on the target’s speed. – Reworkded: Total new look to the 3D editor interface. – Added: Toggle thermal visions (WHot/BHot/NV/Thermal/Noraml) in 3D editor. – Added: Hide/show 3D editor HUD with H key – for filming exc. – Added: Minimap to 3D editor. – Changed: 3D editor safe distnace reduced to 10 meters and also added a timeout of 7 seconds if the cursor haven’t been moved the vehicle will spawn anyway. – Added: Fast rope to evac. – Added: Evac helicopters will return to their spawn location automaticlly after they have completed their drop. – Reworked: Group Generator interface. 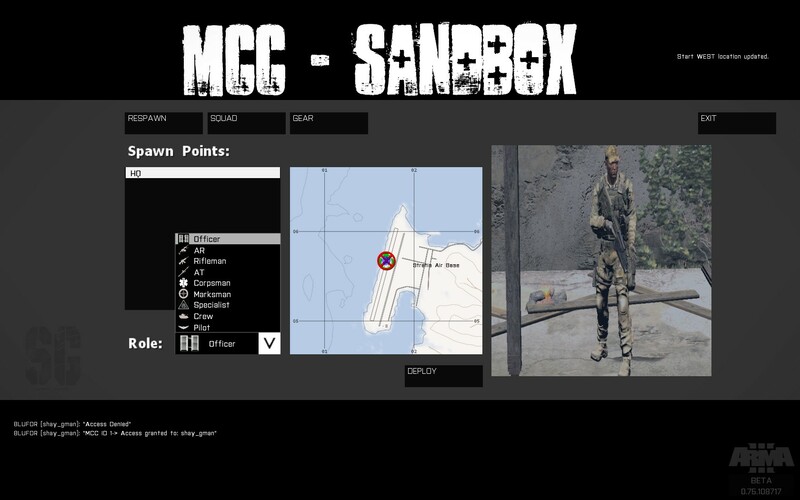 – Added: Create zones, spawn units, exc from the Group Gen – in time it will replace menu 1 in MCC and a lot of functions will be called from there. – Added: Create and save your own custom groups to profileNameSpace. Spawn or use them in the Mission Wizard. – Fixed: Major lags when using the 3D editor. – Fixed: Mission Wizard hostage task completed instantly. – Fixed: Console Airdrop didn’t work. – Fixed: Spawning evac boat on water make it jumping in the air. 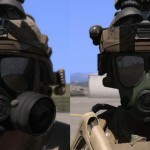 Fabrizio_T has released a new version of his excellent bCombat AI Mod. We are currently testing this on our private server and I have to say, so far it’s a pretty major improvement over previous versions (not that anything was wrong to begin with). 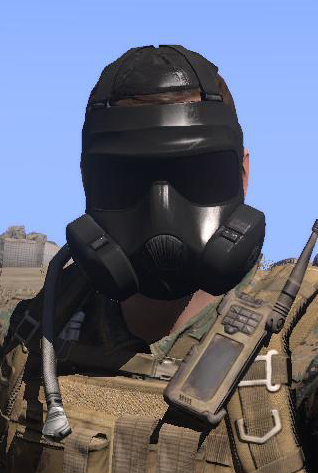 I will be featuring a guide to Arma 3 AI mods in the near future. For now, I highly recommend installing fabrizio_T’s bCombat mod and giving it a try yourself. It’s quite good! The brave may wish to pick bCombat v0.16 RC from GitHub. It was freshly committed a few minutes ago. Testing is undergoing. – Stick to installation instructions, read the readme. – Debug mode is on by default. Disable it by setting bcombat_dev_mode = false; within config.sqf. 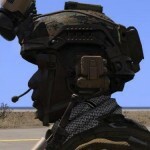 bCombat is an ArmA 3 infantry AI enhancement mod in form of addon, still under development. It’s currently Single Player only. CBA is this only requirement. Morale system driving dynamically AI behavour and skills. AI behaviour is affected by many environmental events (spotted enemies, explosions, bullets whizzling by, ricochets, wounds, casualties, …). Modular mod architecture: optional features may be toggled on/off or tweaked at will. Reduced (excessive) AI firing accuracy. AI units proactively lay suppressive fire and suffer sensible morale / skill penalty when suppressed. Increased AI survivability: better use of cover, movement and suppressive fire lead to longer firefights. Full-featured morale system: morale affects both AI behaviour and combat effectiveness. AI will act aggressively or passively depending on circumstances. Event driven AI behaviour: any environmental events such as enemies inbound, heard gunfire, suppressive fire, nearby explosions and ricochets or casualties have an effect on AI behaviour. 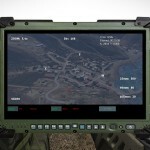 Real-time suppression effects: bCombat relies on (included) bDetect framework for accessing real-time ballistic information on any bullets flying by on the battlefield. All this is delivered pre-configured and ready to go, while it can be tweaked at will via its own configuration file (config.sqf). * Fixed: Reduction of “idling” overhead for high AI count (200+ units). * New: variable “bcombat_degradation_distance”, distance ( unit to player ) over which some bCombat features get cut in order to achieve better performance in crowded battles ( many hundreds of units ). * Tweaked: AI units being hit more likely to prioritize shooting on threat. * Fixed: HandleDamage EH related issue, possibly breaking respawn scripts (thanks LSD_Timewarp82). * Fixed: bug somewhat reducing responsiveness of suppressed units. * Fixed: bug in grenade handling (thanks Torndeco). * Fixed: AI units not scared by campfires anymore. * New: Added 1 second post-spawn delay for unit initialization. Done in order to allow custom / third party scripts to be executed in the meantime. * New: a few configuration variables within config.sqf. * Tweaked: sensibly reduced spotting ability (about -50%) at night, for AI units wearing no night vision devices. * Tweaked: AI spotting ability sensibly affected by fog. 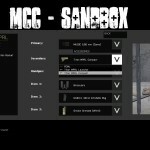 * Tweaked: bullet penalties rebalanced. 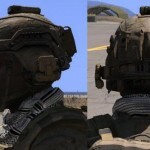 * Tweaked: AI aiming accuracy slightly increased in average. * Tweaked: damage multiplier: damage from null source (e.g. from falling or setDamage ) is not multiplied anymore. For sake of campaign compatibility. * Tweaked: AI units’ peripheral vision. 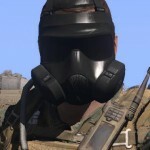 * Fixed: ArmA3 v1.10 compatible custom grenade and smoke throwing. 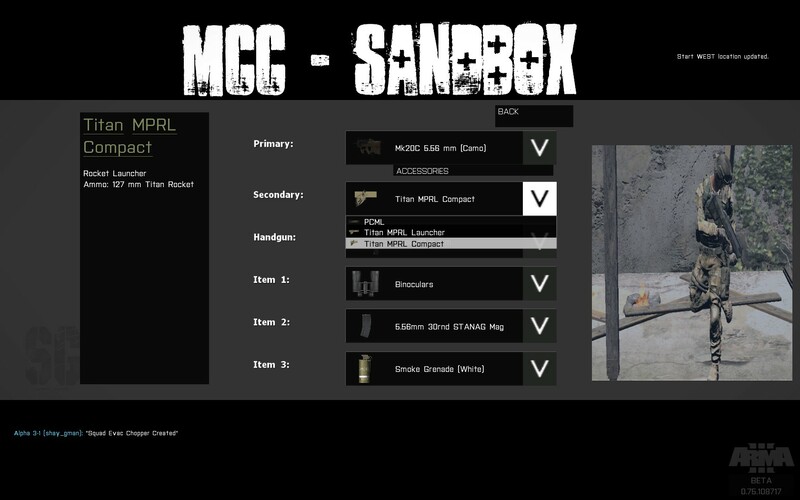 * New: lower ground penalty: Firing from lower ground reduces effectiveness of suppressive fire (and viceversa). Cunico has released a new version of his Hidden Identity Pack. 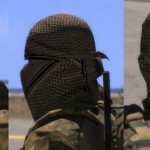 This mod adds shemaghs, masks, and balaclavas to Arma 3. 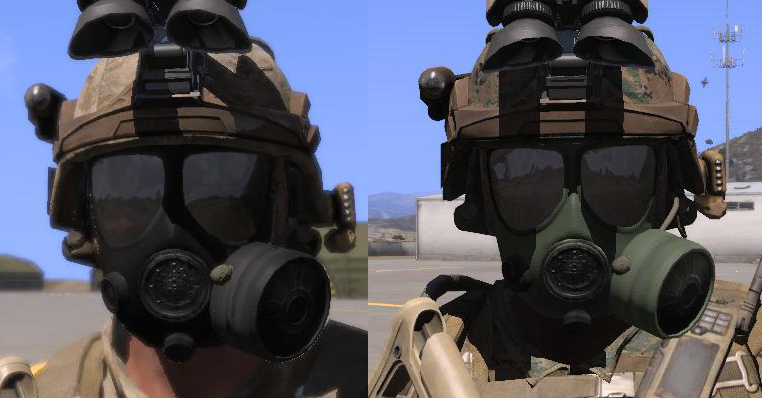 Ironically, they look just as good on BLUFOR troops as they do on OPFOR baddies. 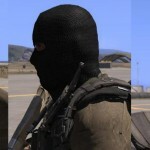 This mod adds shemaghs, masks, and balaclavas to Arma 3. The ALiVE dev team has released a new version of their popular dynamic mission framework. 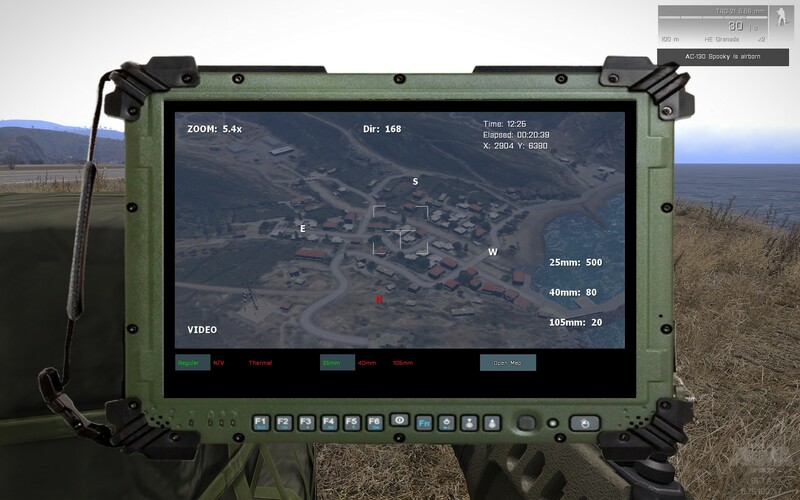 As stated, this is more of a service release with several fixes, but more noteworthy is the added ability to run the ALiVE framework alongside Arma 3 ZEUS on unofficial A3 DEV Branch servers. We are happy to release the latest update for ALiVE, which mainly adresses usability issues and bugs, that – thanks to you all – have been stated in here, on our bug tracker or by our closed testers. Furthermore it enables the possibility to run ALiVE on the unofficial “perf”-server binaries and A3 DEV branch (e.g. ZEUS)! This release is meant to be a service release, so its not that huge, see our changelog for further details! 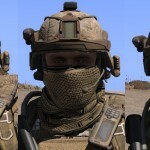 ALIVE is the next generation dynamic persistent campaign for ArmA3. 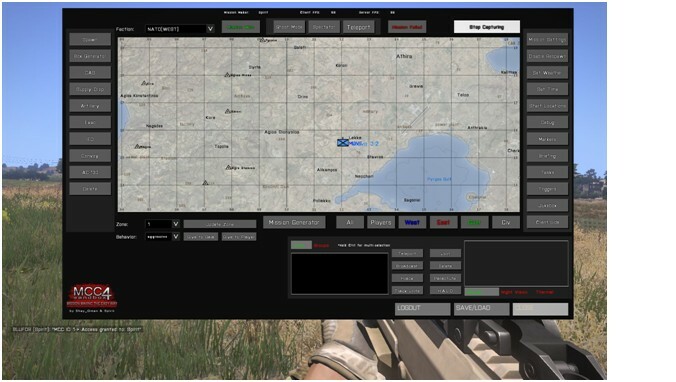 Developed by the Multi Session Operations team, the easy to use modular mission framework provides everything that players and mission makers need to set up and run realistic military operations in almost any scenario up to Company level, including command, combat support, service support and logistics. [MIL/CIV PLACEMENT] Changed version-mismatch-check to only warning and not quit (to provide support for “perf” server binaries, and dev branch incl. ZEUS). Mind you still get a warning, but MIL/CIV MP modules and OPCOM will work! Take into account that we cannot and will not provide any support for anything other than A3 stable branch, A3 DEV is highly unstable!